When you love someone from another culture and country, there’s a chance you’ll end up in a long-distance relationship. But what if you thought the long distance was over, only to discover you would have to be divided for another year? That’s what happened to Shannon Young, an American who fell for a British man while studying abroad in England who she described as “my very own Mr. Darcy, except…talkative—and half Chinese.” But after she moved to Hong Kong to finally be together with him, he suddenly gets transferred to his company’s London office for a year, leaving Shannon all alone. Year of Fire Dragons details the life-changing year she spent in Hong Kong while continuing a long-distance relationship with her boyfriend. It’s a beautifully written story about how far people will go for love — and the unexpected joys that come when things don’t work out as planned. 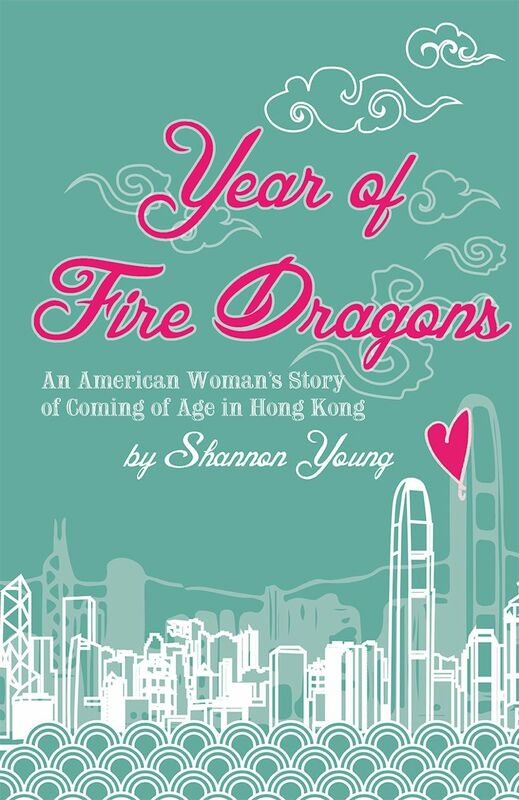 Longtime readers may already remember Year of Fire Dragons from Shannon Young’s lovely guest post titled My Very Own Mr. Darcy, Except Talkative And Half Chinese. She also edited the fantastic anthology How Does One Dress to Buy Dragonfruit? 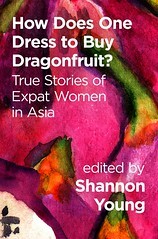 True Stories of Expat Women in Asia (which I’m honored to be a part of). 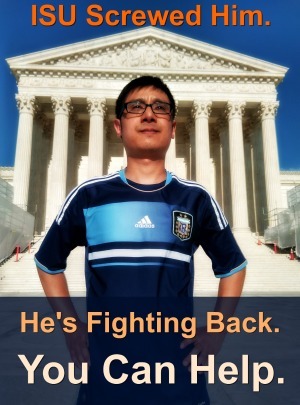 I’m excited to once again feature Shannon Young and Year of Fire Dragons on Speaking of China. You can learn more about Shannon Young at her author website as well as her blog. I asked Shannon about everything from her thoughts on Hong Kong and managing a long-distance relationship to how her family’s ties to the city made her feel more at home there. Originally I just wanted to write about Hong Kong. The place itself inspired me, and writing became a way to catalogue and make sense of my experiences. But as I got further into the manuscript I realized I wanted people to actually read it. It became clear that I’d need to include my personal story to appeal to readers because that’s what appealed to me in the travel memoirs I read. Far away locations can be interesting, but a personal story that resonates with the experiences of real people is far more compelling. As I slowly opened up about my own life, it became easier to understand the growing process I was going through at the time. Writing the memoir morphed into a way to make sense of my feelings, perhaps even more than my surroundings, during a pivotal stage in my life. You followed Ben to Hong Kong so the two of you would finally be together and then, after a month, he leaves you there to take a position in London. You couldn’t afford to chase after him because you had already committed yourself to a job in Hong Kong that would help you pay off your $80,000 student loan debt. Could you share with us some of your hopes and fears that came to mind when you said goodbye to Ben that fateful afternoon in September? I was probably too optimistic for my own good. I thought the whole experience would be easier than it was, and didn’t realize how much turmoil I would end up feeling over the course of the year. I felt alone and disconnected in those first moments, but not as much as when the months dragged on and being together seemed less and less likely. The chances of the whole thing not working out were much greater than I let myself acknowledge at the time. One of the love stories in your memoir follows your own relationship with the city of Hong Kong and how it unexpectedly charms you in so many ways. What was the most surprising thing about Hong Kong that you came to cherish? I didn’t expect to love the energy so much. I’m a fairly reserved, introverted type, and it was surprising how much I loved the opportunity to be on the go and to see all sorts of different people around me every day. Hong Kong is enchanting, and living in such a vibrant city was more stimulating than I expected. Your own family has an interesting connection to Hong Kong because your grandparents lived there for a period of time and your father was born there. How did your family’s ties to Hong Kong influence how you felt living alone there as well as your feelings about your relationship with Ben? Hong Kong wasn’t 100% foreign to me, and I think that helped. I grew up hearing stories about Hong Kong and, although I never expected to live here, it had always been on my radar. I still meet people in the US who think Hong Kong is in Japan or who don’t understand the difference between Hong Kong and Mainland China, and that was never an issue for me. 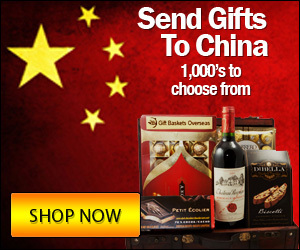 During my childhood, my dad used to talk about how much he’d like for us to move to China. 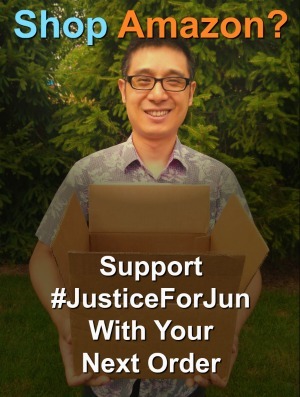 He’d studied Mandarin and he had fond memories of his childhood in Asia. The prospect of an international life wasn’t as scary to me as it might be for someone whose family has always lived in the same town. Once I actually moved, it was encouraging to know that other people in my family had done it first. I even had the letters my grandma wrote home while she was living here in the late 1950s, and I’ve included excerpts in Year of Fire Dragons as a counterpoint to my own journey in Hong Kong. As for Ben, his stories about Hong Kong are guaranteed conversation starters around my relatives! While in Hong Kong, you decide to buy a wedding dress, even though you weren’t certain if or when you would be getting married. You write, “I’d taken enough risks for Ben already. What was one more gamble that everything would work out?” Do you think that this kind of confidence is an example of how long-distance relationships can be a positive experience? I think so. Looking back I’m still a little surprised I did that. It comes back to me being maybe a little too confident for my own good. On the other hand, long-distance relationships are difficult enough and you have to be hopeful and confident about your prospects in order for them to work. That kind of positive attitude can help carry you through the tougher times. I am lucky it turned out well, and the dress still fit me on my wedding day! Now that you’ve survived a long-distance relationship, do you have any advice for anyone out there in the same situation? What do you think it takes to make a long-distance relationship successful? Communication is absolutely the most important part of a relationship, especially a long-distance relationship. You have to be honest with each other about your concerns and feelings. It makes it much easier to trust the other person when you feel you can talk to them about anything, and without trust it won’t work at all. I think it’s also helpful to make plans for the end of the long-distance period, even though my own plans were thwarted a few times. What do you hope readers come away with from your memoir? I hope they’ll come away with a sense of optimism from my journey, and a reassurance that even during a tumultuous time like your early twenties, things can turn out better than you ever imagined possible. I also hope they’ll be as enchanted by Hong Kong as I am after reading about my adventures here! 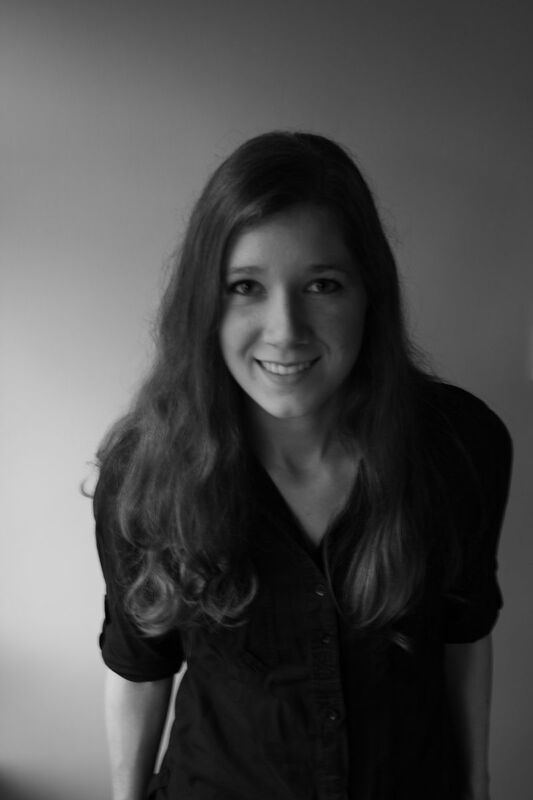 Thanks so much to Shannon for this interview about Year of Fire Dragons! You can learn more about Shannon Young at her author website as well as her blog. 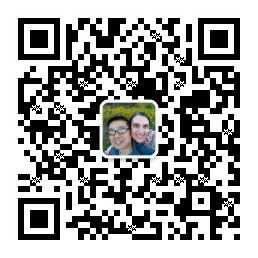 Year of Fire Dragons is available at Amazon.com, where your purchase helps support Speaking of China. I really loved this book. I strongly recommend it both because of Shannon’s personal story and as a window on what life as an expat in Hong Kong is. This is one of the books on my long list of books to read, but time isn’t plenty these days as I am in the final stages of completing my own memoir, so I will have to wait to read it. I find it fascinating to read about the stories and circumstances surrounding other’s big leaps of faith. The reasons that brought Shannon to HK are very different to the reasons why I moved to Taiwan. But we both took a chance on living in Asia by ourselves and I can totally relate to that. Buying a wedding dress was a very gutsy move and it is so awesome that it was the one she wore on your wedding day!! I was really impressed with Shannon’s memoir. I love memoirs, but I wasn’t sure what to expect. Shannon is still quite young and was in her early 20’s at the time she writes of so I didn’t know how much depth there would be in her writing or upon her reflection of the experience. I guess that was pretty ageist of me! She writes beautifully and was able to capture her own transformation well. She brought both her own circumstances and the city of Hong Kong alive. Anyways, I would definitely recommend reading it if you are at all interested in cross-culturally dating, long distance relationships, or living abroad. It isn’t a huge time commitment. I read it in about a day because I was immediately “into” it. I also loved Shannon’s memoir and recommend it to everyone! The letters from her grandmother added a special touch to her already thrilling story. Nice interview. I am looking forward to reading the book. Some day. (Like Constance, my “to read” stack is quite tall). I just bought Shannon Y0ung’s book and will read it soon. ??????????????????????????? ?loved it! Inspired me to teach “somewhere else” after 24 in Chicago Public Schools. Thanks Shannon. I felt like I was there with you. To bad you didn’t give us readers a photograph on your wedding day! I would love to see the dress you picked an to see mysterious Ben, of course.